Kid-friendly restaurants are a necessity for families with little ones. Finding eateries with kid-approved menus, great service, and a family atmosphere isn’t always easy. To help take the guesswork out of it we asked the experts, our Main Line Parent Community, for their recommendations on the best family-friendly restaurants in the area. From Collegeville to Wayne to Ardmore, find your family’s new favorite eatery below! Em J’s is a family-friendly neighborhood cafe serving breakfast and lunch. The Bercy in Ardmore is a nice change of pace if you’re looking for the fancier end of family dining. With their French brasserie inspired menu, beautiful decor, and impressive wine list, the grownups will enjoy it too. But where they really won us over was with their Nutcracker Holiday Tea this past winter– and they tell us this will just be the first of more special events! From coffee, pastries and cakes, to lunch and gelato, Delice et Chocolat is a taste of France in the heart of Ardmore. Family-run bistro offering a sophisticated menu of eclectic American fare & lounge entertainment. Check their website for Kids Eat Free Nights and other family friend weekend events. ALLERGY FRIENDLY: Christopher’s has a wide range of delicious meals to choose from. Check their website for a full menu with all ingredients listed for each item. The friendly staff will walk you through the menu, pointing out items fit for your allergies, and can make adjustments and substitutions whenever possible. This family restaurant simply wants everyone to feel comfortable — allergies and all! From the friendly staff to tasty food with kid-approved meal options, Uno’s is a local family favorite. With plentiful menu options to satisfy even the pickiest eaters, Fresco’s serves up delicious food in their family-friendly Newtown Square location. This family-run market and cafe features fresh, bold food that’s as delicious as it is healthy. Can’t dine in? Pick up items to go! A large menu and plenty of comfort food make Iron Hill a local family favorite. Their relaxed atmosphere and delicious, reasonably-priced food makes it a great family dining option. Hand-cut fries and yummy burgers rule in this family-friendly restaurant in Limerick. Both kids and parents love that Bertucci’s brings out pizza dough for the kids to play with while their meals are being prepared! It’s a great hands-on activity to keep little ones busy. The Corner Bakery’s family-friendly atmosphere and easy menu of kid and adult-favorites makes it a great spot to grab a quick bite to eat. Looking for a place that’s great for kids and adults? Sam’s blends delicious food, a family-friendly atmosphere, and great service all in one. Kid-friendly, fast, and affordable with one of the best Greek salads in the area is how the Main Line Parent Community describes Minella’s. Serving up Mediterranean cuisine, Zoёs is a local family favorite. With healthier meal options and a family-friendly atmosphere, it’s a great spot for fresh food for the whole family. Nestled away from the hustle and bustle of the mall sits the family-friendly, Italian Salvatore’s Trattoria. With everything from handmade pizzas to pasta and sandwiches, the menu has something for everyone. The Rec Room by Conshohocken Brewing Company offers great beer, great food and a great time on the ping pong tables! 4 shuffleboard tables, 5 ping pong tables, and a foosball table make this the ultimate family hang out right on Bridge Street in Phoenixville. Need gluten-free options? Not Your Average Joe’s offers a full menu of gluten-free options along with a traditional menu that the whole family can enjoy. Does your family have a favorite local eatery that you’d recommend? 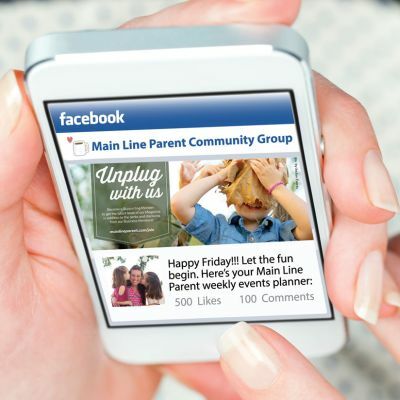 Leave a comment below and share it with other Main Line parents! Photo by Ivory Tree Portraits, taken at Christopher’s in Wayne.